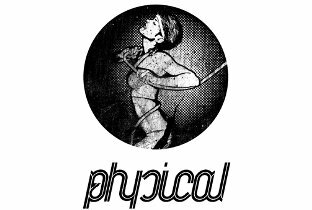 Get Physical tracks could hardly be more moving and corporeal. It has taken Get Physical only a few years to become one of the strongest brands of the international club-music scene. likes to collaborate with a wide variety of internationally renowned designers. How it began: Patrick Bodmer met Philipp Jung met over twenty years ago and were reunited in Frankfurt, then the hub of Germany’s flourishing house and techno scene. Over the next years the pair consumed music, raved and span records at every opportunity. DJ T and Patrik (The Sunsetpeople), heard them play and noticed them. The four became close friends and soon after Arno and Walter (Booka Shade) joined M.A.N.D.Y. in Frankfurt. They intensified their work together and decided to found a label utilising the talent of their circle of close friends. They called it Get Physical: in tribute to the dancefloor; in memory of their meeting; and for their love of disco, with a nod to Olivia Newton-John. Get Physical was born of pure desire, the need to create something tangible out of a lifelong passion. In 2002, M.A.N.D.Y.and Booka Shade moved to Berlin seeking a new creative kick. What they found was a confluence of artists and ideas, and a constant shower of music to immerse themselves in and be inspired by – Get Physical have been based there ever since. Over the past five years M.A.N.D.Y. have come into their own as artists and DJs. Mixing the first Get Physical label compilation in 2004 sent their sound beyond Europe but it was their collaboration with Booka Shade, ‘Body Language’, which sealed their reputation: the track became a bona fide anthem across the globe and was voted Ibiza’s Track of the Season and DJ Magazine’s Track of the Year for 2005. This was followed by the ‘Body Language Vol. 1’ mix CD – DJ Magazine’s Mix CD of the Year - wherein Philipp and Patrick joined the dots between electro-influenced house and disco and the prevalent minimal techno sound In 2006 came M.A.N.D.Y.’s contribution to the ‘At The Controls’ mix series – a double CD which showed a more sensuous side to the M.A.N.D.Y. sound without compromising their underground, electronic house edge. The mix picked up a host of awards, including Mix CD of the Year from Resident Advisor, BBC Essential Mix and Mixmag in the UK. They kick started 2008 by bringing their talents to the Fabric mix series and are currently working on a new album. Booka Shade have been at the forefront of dance music with their classic singles ‘Body Language’ (with M.A.N.D.Y.) and ‘MandarineGirl’. The original intent behind the Get Physical label was that Booka Shade would be the shadowy producers, writers, and remixers behind other artists, but in 2004, Booka Shade released their first proper album as artists, Memento, but it was their seminal collaboration with M.A.N.D.Y, ‘Body Language’, that launched them into the stratosphere. Booka Shade’s solo offering ‘Mandarine Girl’ became a bona fideclub smash shortly after. 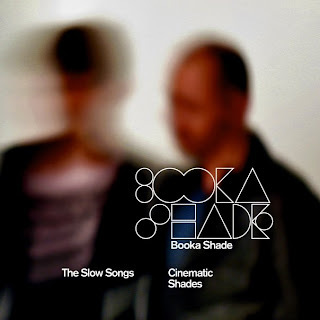 Throughout their career as performing artists, Booka Shade have maintained a separate line in high-profile remixes, including work ranging from Yello and Depeche Mode to Moby, Hot Chip and the Knife.The highlight of the year has been the long awaited release of their third studio album in May, entitled The Sun & The Neon Light. The single "Charlotte" has proven to be another hit for the band and reached 2 on the Beatport Chart. They are currently delivering their music live and direct to fans on a new world tour, proving themselves to be one of the biggest and most exciting electronic live acts in the world. This summer they have played at many of the most renowned festivals; Glastonbury in the UK and Coachella and Lollapalooza in the US. 2008 has been a successful year for the duo in many ways, demonstrated at The Beatport Music Awards where they won 'Best Tech House Artist'.